Support Across BBC 6 Music, BBC Radio 2, BBC Radio 1 And BBC Radio Scotland For Charles Bradley! 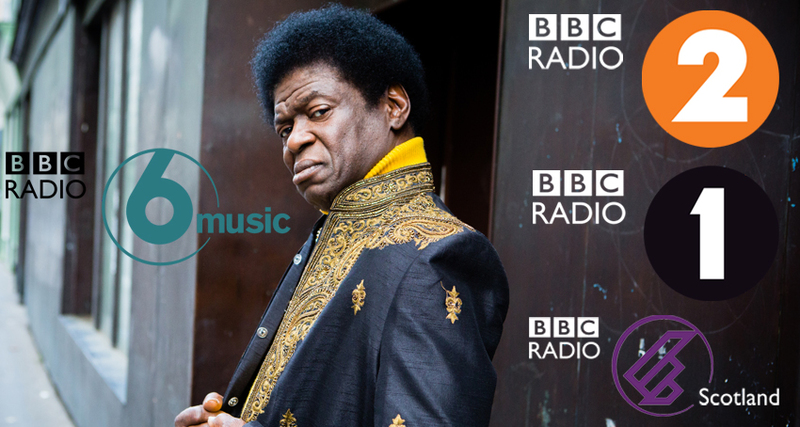 Charles Bradley has received amazing support across the BBC for his latest single ‘Aint It A Sin’, taken from the critically acclaimed album ‘Changes’! After being added to the B list at BBC 6 Music, ‘Aint It A Sin’ moved straight up to the A list, accumulating 71 plays across the network. Support also came from BBC Radio 2’s Dermot O’Leary, Craig Charles, Alex Lester and Jo Whiley, who has Charles booked in for a session at the start of August, Radio 1’s Huw Stephens and BBC Radio Scotland’s Billy Sloan and Roddy Hart.